Heat oven to 400°F. Spray 13x9-inch pan lightly with nonstick cooking spray. In large bowl, combine potato flakes, seasoned salt, paprika, garlic powder and pepper. Add margarine; mix well. 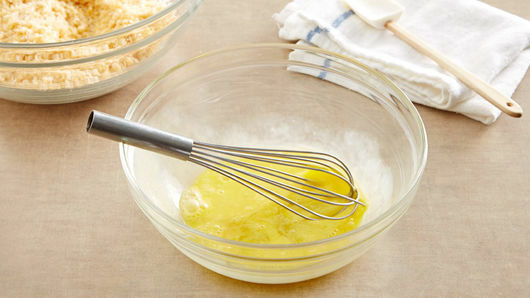 In medium bowl, combine egg and water; beat well. Dip chicken pieces in egg mixture; thorougly coat all sides with potato flake mixture. Place chicken, skin side up, in sprayed pan. Bake uncovered at 400°F. for 55 to 60 minutes or until chicken is fork tender and juices run clear. 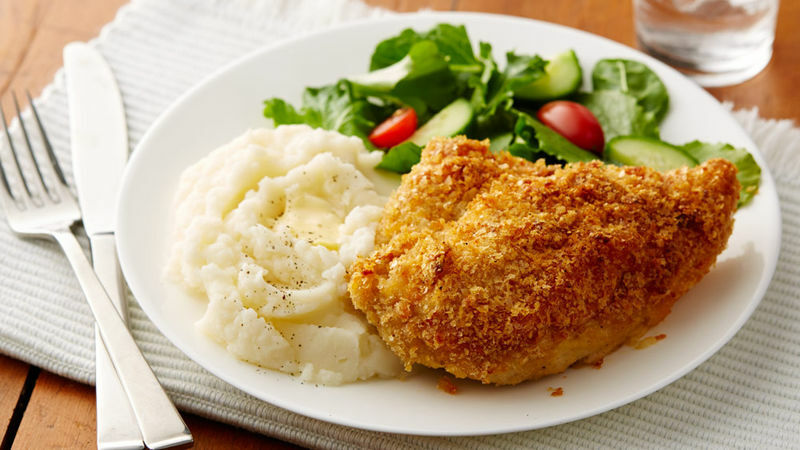 Seasoned potato flakes add a crisp coating to this baked chicken. This baked chicken comes out deep golden brown and crispy, just like fried chicken. Since the chicken is baked however, clean-up is quick and there's no oil spatter or lingering order. Skinless chicken pieces work well in this recipe. Potato salad, buttered baby peas and biscuits or cornbread make your chicken dinner complete. Tip: Coat chicken, with zero mess! Seal chicken, seasonings and breadcrumbs inside a freezer bag and shake for perfectly covered, crispy results. More smart freezer bag tips. Traditionally, fried chicken you find at restaurants or at the store is made by cooking breaded chicken in oil on a hot stove. (If that’s what you’re craving, we have a recipe for amazing Buttermilk Fried Chicken.) However, this method can be a little tricky, and also not the healthiest option available to you. That’s why we love this oven-fried chicken recipe as an alternative for novice cooks and people looking for a skinnier dinner option. Since it’s baked in the oven, this recipe is more hands-off than the stove method, and also a bit better for you since it’s not cooked in oil. Have more questions about how to fry chicken, like what part of the chicken you should use or how to store and reheat leftover fried chicken? We have a comprehensive guide to how to make the best fried chicken that you need to read. 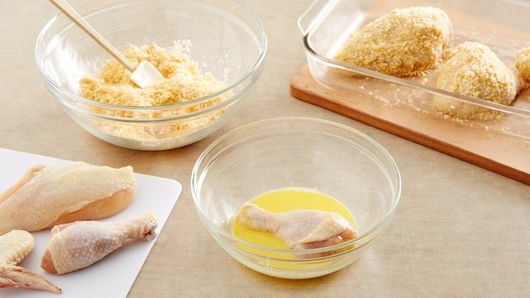 Loved this recipe and want to add more chicken recipes you can make in your oven to your recipe box? We have a bunch of baked chicken dinners for you too.